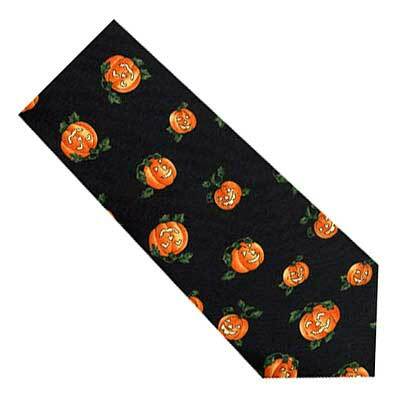 Pumpkins Tie – *CLEARANCE!This quality Jack O’ Lanterns Tie makes a wonderful gift idea for your favorite Halloween lover! This tie features a cool Halloween theme. Great for work or social events. Get ’em while they’re hot! This product normally ships within 1-2 business days. 100% Polyester. Tie is approx. 57″ long and 3.75″ wide.